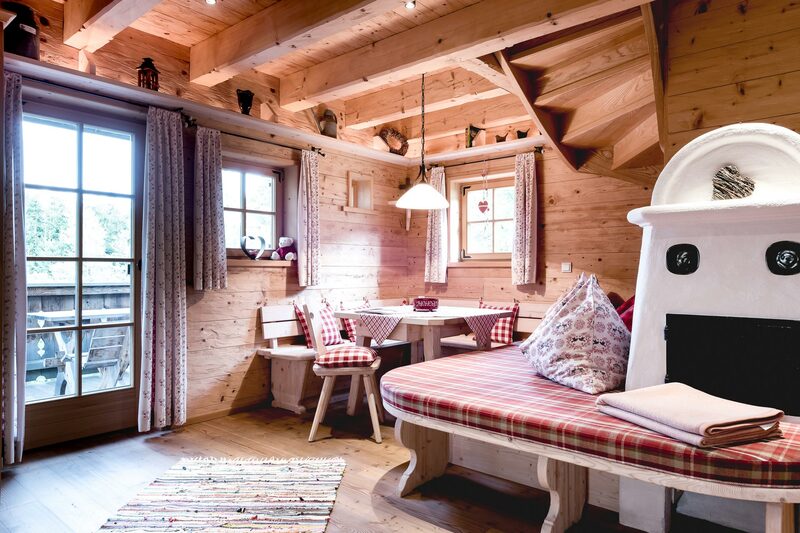 Our guests will find the perfect mountain retreat in our chalet village and dreams of mountain romanticism will come true in the heart of Leogang. And the good thing: all amenities of the PURADIES are also available for our chalet guests. Our chalet village is the ideal retreat for families and couples but also for friends who want to share a special time-out in the mountains. Whether you are 2, 4 or 6 persons – our chalets offer individual free space for all guests and convince with incomparable charm. The breakfast is served daily at 7.30 am and lunch as well as dinner can be ordered directly into the chalet. The good thing: all our chalet guests can make use of all the hotel services in the PURADIES. This includes our Heaven Spa, our wellness oasis (on more than 1.000 sq m) and our Bar & Lounge “FREIRAUM”. So our chalet village is not separated from the PURADIES. It is much more a retreat where you are able to enjoy all the amenities of a hotel. And for all those who want to make lunch by themselves, there is a cozy parlor with a rustic oven and a kitchen in the chalet. Make yourself comfortable and enjoy the view of the mountains on a unique and sunny place of luxury in Leogang. THE OWN HOME - enough individual free space on 2 levels with kitchen, rustic oven, seating areas and comfortable beds. Alpine hut magic on highest level makes you forget the everday life easily. SUNNY PLACE OF LUXURY - right in the heart of Leogang and always with a view of the mountains - this is how our chalet village presents itself. Whether it is summer or winter: The view fascinates our guest each day and this also applies to us.